4. Beyond Personality: or First Steps in the Doctrine of the Trinity. 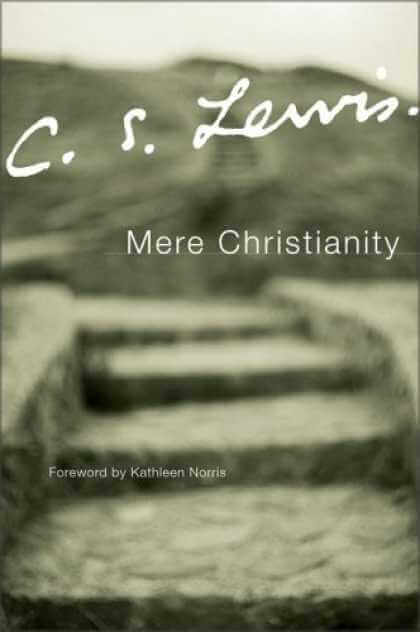 Through these books C. S. Lewis wishes to state what “Mere” Christianity is. In the first book he proves that a “Something” exists that directs the universe and “It” appears in a person as his conscience. In the second book he talks about what Christians believe of God, Good and Evil, Atonement, and the Triumphant Return. In the third book he talks about morality and certain virtues. The “Cardinal Virtues” are: Prudence, Temperance, Justice, and Fortitude. The “Theological Virtues” are: Faith, Hope, and Charity. In the fourth book he talks about theology. Although no specific aspect appealed to me, I really enjoyed reading this book as a whole. Mere Christianity is an essential book in the Christian reader’s repertoire.